News just in reveals that Monash University academic Dr Jenny Hocking has lost her appeal to the Federal Court of Australia. In the first instance, Dr Hocking had failed to get the release of what are called the Palace Letters which are held by the National Archives of Australia. The correspondence consists of letters to the Queen by Sir John Kerr when he was governor-general of Australia. Once upon a time the left-wing conspiracy view of Sir John Kerr’s decision to dismiss Labor prime minister Gough Whitlam on 11 November 1975 maintained that it was a Central Intelligence Agency (CIA) conspiracy to interfere in Australian national politics. Now the fave left-wing conspiracy theory is that The Palace was somehow involved. Sir John Kerr left some of his private letters with the National Archives of Australia with the instruction that they not be released until 2027 – and then only in certain circumstances. On two occasions the Federal Court has agreed that Sir John’s letters to the Queen are personal – not official – correspondence and that, consequently, the NAA has acted correctly in not releasing this material. Jenny Hocking – who has spent much of her career writing taxpayer subsidised biographies of such left-wing heroes as Gough Whitlam, Lionel Murphy and Frank Hardy – believes that Labor hero Gough Whitlam was brought down by a hereditary monarchy, no less. MWD will document Dr Hocking’s conspiracy concerning The Palace and The Dismissal in future issues. In the meantime, MWD expects that – when and if the Kerr/Palace correspondence is released – it will reveal no more than what Sir John Kerr wrote about the events of November 1975 in his book Matters for Judgment. Sir John told Gerard Henderson and some others around three decades ago that he had used his correspondence to the Palace to refresh his memory when writing Matters for Judgment, which was published in 1978. In fact, there was no conspiracy involving The Palace in 1975. Alas, some people – including historians – believe what they want to believe. It’s a necessary statement when 7.30 presenter introduces Mark Humphries’ comedy sketch on a Thursday with the trigger warning that it’s satire. It’s nice to know. Last night’s satire ran for a very long two minutes. This time your man Humphries plays the role of a small “l” Liberal Independent candidate running for the seat of Lululemon on Sydney’s North Shore against the official Liberal Party candidate. A kind of bloke’s equivalent of Zali Steggall taking on Tony Abbott. The Independent’s main selling point (and joke) is that he’s not a member of the Liberal Party. Other seats he mentions are “Aesop” and “Quince Paste”. Funny, eh? The Independent’s competitors are “a negatively geared lump of coal” and an urn filled with the ashes of Sir Robert Menzies. The Australian taxpayer is funding such “humour”. Jackie has had to endure a lot of such Australian “comedy” for Media Watch Dog – here is her comment. Jon Faine – he of Mornings with Jon Faine on ABC Radio Melbourne 774 – likes nothing better than asking difficult questions. So much so that if the ABC presenter does not get what he regards as a reasonable response – he will ask the question again and again and again. However, your man Faine is inclined to avoid the question when someone asks him a difficult one which he does not want to answer. Jon Faine: Treasurer, who are you governing for? Who are you governing for – people with self-managed super funds or the rest of us? Interesting question. Clearly Jon Faine distinguishes between people with self-managed superannuation funds – and everyone else. But who is everyone else? Not your man Faine, it would seem. I am interested in your distinction between individuals on self-managed superannuation funds and the “rest of us”. Which raises the question. Are you on a defined benefit scheme? Or do you fund your own superannuation (with the assistance of your employer’s compulsory contributions)? I understand that the defined benefit scheme at the ABC – which applies to many long-term employees of the public broadcaster – is very generous to recipients. And it is supported by the taxpayer. If you are the beneficiary of the ABC defined benefits scheme, you are hardly in a position to claim that – when it comes to superannuation – you are part of “the rest of us”. It could seem that Jon Faine (who commenced work at the ABC in January 1989) – is on a defined benefits superannuation scheme like many long-term ABC employees. If this is the case, when he retires at the end of 2019, he will benefit from a largely taxpayer subsidised superannuation scheme per courtesy of the taxpayer funded ABC. About ten per cent of Australians are on a defined benefit scheme. On retirement, they are paid (until death) a superannuation benefit based on the beneficiary’s final salary and the number of years that he/she has worked. The benefit is indexed for inflation. Mr Faine has been employed at the ABC for some three decades and he is one of the taxpayer funded broadcaster’s highest paid presenters. Defined benefits schemes became so expensive that they were abandoned by most government and private sector employers years ago. If Mr Faine is on a defined benefit fund, it would be a huge fudge for him to present himself to his ABC listeners as among “the rest of us” when it comes to superannuation. In fact, Jon Faine was not asked why he asked a particular question of the Treasurer. Rather he was asked whether or not he is a beneficiary of the ABC’s taxpayer subsidised defined benefit superannuation. The answer is a simple “Yes” – or “No”. An answer of such brevity would not subtract more than a minute of your man Faine’s good works with respect to bushfires. And it would clarify whether he is entitled to present himself as one of “the rest of us” when it comes to superannuation – or whether he is among the privileged superannuation elite. It would seem that Jon Faine likes asking questions but is not willing to answer a question which requires just one word. The evident excitement within the halls of the ABC and Nine’s newspapers the Sydney Morning Herald and The Age that Tony Abbott could lose the seat of Warringah has led to instances of activism posing as journalism. Take, for example, the SMH’s Peter FitzSimons. In his Sun-Herald column on 27 January 2019, the Red Bandannaed One declared that he has “been tangentially involved in one of the groups backing” Independent candidate Zali Steggall. In short, Fitz is a self-declared activist with respect to the campaign in Warringah. Then, lo and behold, last Sunday your man FitzSimons wrote a report on the Warringah campaign – it was co-written with SMH reporter Bevan Shields. This carried a story that one-time Malcolm Turnbull staffer Alice Thompson – who on 23 January announced that she would contest Warringah as an Independent to much acclaim in Nine’s Sydney Morning Herald – had withdrawn from the campaign in order to provide fresh air for Zali Steggall. Now it’s okay for Fitz to be an activist and a SMH/Sun-Herald columnist. But it’s not professional for Peter FitzSimons to be reporting on the campaign of a candidate whom he has supported as a political activist. Yet Nine’s Sydney newspapers seem prepared to let Fitz to do whatever he likes. Can You Bear It? Richard Glover: ….and Zali Steggall, Independent candidate for the seat of Warringah – yes, that’s Tony Abbott’s seat – and the former Olympic star, of course. Yes, of course. But what presenter Richard Glover failed to tell his listeners was that the (now) high-profile Independent candidate and Nine (formerly Fairfax Media) newspapers’ fave is that she ’fessed up to Sky News’ David Speers on 30 January that she had never voted for the Liberal Party in a Federal election in her life. Yep, NEVER. Ms Steggall, who lives in Warringah, told David Speers that she had not voted for Tony Abbott. Since the Independent candidate who has always lived in Warringah is 43 – and Mr Abbott has been a member for Warringah since a by-election in March 1994 – means that Ms Steggall did not vote for the Liberal Party in 1994 (when John Hewson was leader), 1996, 1998, 2001, 2004 and 2007 (when John Howard was leader), 2010 and 2013 (when Tony Abbott was leader) and – wait for it – in 2016 (when Malcolm Turnbull was leader). It is a matter of record that the Turnbull government survived the 2016 election by just one seat – no thanks to Ms Steggall – and that the Greens finished second in Warringah. Yet the ABC and the Sydney Morning Herald present Ms Steggall as coming from a Liberal Party and political conservative tradition. Really. Ms Steggall has also said that she has not previously voted for the Labor Party or the Greens. This means, for example, that in 2013 she either voted for the Palmer United Party, Rise Up Australia, the Christian Democrats or the Stable Population Party – or perhaps she did not vote at all. You be the judge. By the way, Richard Glover’s “Political Forum” panel on Monday comprised Labor’s Tanya Plibersek (fair enough), along with former Liberal Party leader and constant Liberal Party critic John Hewson (who campaigned against the Liberal Party in the Wentworth by-election last year) and Zali Steggall. In other words, every one of your man Glover’s guests was a hostile critic of Tony Abbott. That’s ABC balance for you. Can You Bear It? Hamish Macdonald: I was there on Sunday when Zali [Steggall] announced her candidacy. And it definitely stood out to me that she could easily have been recruited by the Liberal Party to run as a female candidate for the Senate – or whatever, or whatever other seat was up for grabs. So, there you have it. Your man Macdonald reckons that the ideal Liberal Party Senate or House of Representatives candidate is someone who has never voted for the Liberal Party at the Federal level in their life. Not even in 2016 when a small “l” Liberal like Malcolm Turnbull was prime minister. Hamish Macdonald, a journalist, professes to claim that he knows what’s best for the Liberal Party. Can You Bear It? Along with the ABC and Nine newspapers’ the Sydney Morning Herald and The Age , The Guardian and The New Daily are part of the Abbott-Hater tag team in the lead-up to the 2019 election. Writing in The Guardian on Wednesday, MWD fave Katharine Murphy – whom Malcolm Turnbull used to address as “Murpharoo” – ran the line that Zali Steggall is one of a group of small “l” Liberal Independents “taking on government frontbenchers” in the 2019 election. Murph made no mention of the fact that Zali Steggall is so small a small “l” Liberal that she did not even vote for the return of Malcolm Turnbull’s government in 2016. How small can a small “l” Liberal get? – MWD hears you cry. Steggall’s campaign is implicitly negative, centred on a time’s up push against Abbott, but she said she wanted to keep her messages positive. She wanted to win, she said, “with the positivity of the message”. She said it was obvious that in Australia negative campaigning cut through with the public, but she said “that’s something we have to address”. The ceaseless negativity of intraday politics was fuelling disengagement with institutions, including representative democracy, and the conversation “infiltrates the mood of the nation. You have to be offering up some hope, as corny as that sounds,” she said. So, there you have it. Or not. Come to think of it, it really is corny. According to Murph, Ms Steggall wants “to keep her message positive” and is critical of “the ceaseless negativity of intraday politics”. But she’s going to offer “some hope” by running a negative campaign against Tony Abbott. Go on. So a negative campaign is really positive when the target is Mr Abbott. Can You Bear It? James Valentine: Is there a fundamental problem with the people who [the Liberal Party] are getting in there to start with? Are the people who are selecting that – the local Liberal members, or however else it’s being done in various circumstances – will tend to also then just choose men before they’ll choose women? Paula Matthewson: Yes, of course. Because the Liberal Party machine in all but one state, New South Wales, is dominated by conservatives – mostly conservative men. So, they preselect more conservative men, they put conservative men into the leadership positions in the party and also in the parliamentary wing. So, it becomes this vicious circle. It’s a recruitment process called “mirroring”. That you basically recruit people who are like you. So, according to Ms Matthewson, the absence of sufficient female Liberal Party parliamentarians is all due to the role of the party’s conservatives. And that the situation is better in NSW because the party is not dominated by conservatives in the state. But is this true? Not on your nelly. The Liberal Party in NSW is dominated by those who call themselves “moderates” – the Liberal Party’s left faction. However, are so-called Liberal Party moderates more inclined to pre-select women for winnable seats? According to the evidence, No. In recent years, male candidates in NSW have won pre-selection in a number of safe and relatively safe Liberal Party seats – Bradfield, North Sydney, Berowra and Mackellar. The pre-selection process in all four seats was dominated by the NSW Liberal Party moderate faction. And men were successful in all instances. In the recent Liberal Party pre-selection for the Senate, the moderate faction nominated a man for a winnable position on the Senate ticket. In short, the moderate faction had one winnable Senate slot in 2019 – and it gave it to a bloke. So, Ms Matthewson’s “Blame the Conservatives” message is just, well, fake news. Can You Bear It? Former ABC presenter and ABC staff elected Board member Quentin Dempster now writes for the trade union funded leftist The New Daily. But he remains a barracker for the taxpayer funded broadcaster – so much so that he is all but the unofficial spokesperson for Aunty. On Monday, your man Dempster appeared on the second edition of Sky News’ Kenny on Media. The ABC rarely, if ever, asks its critics to discuss the ABC on the ABC. Sky News is controlled by The Australian (proprietor Rupert Murdoch) and Mr Dempster is one of Australia’s leading Murdoch critics. Even so, Chris Kenny asked Quentin Dempster on to the program – and the Murdoch critic obliged. What took place was a considered discussion between two people of quite different views – of a kind that is rarely found on the ABC. Chris Kenny: The point here is Quentin, a lot of people don’t like to parade their politics or own up to them. I’m right-of-centre on many issues and happy to say so. But if you look at the ABC – Phillip Adams, Barrie Cassidy, Fran Kelly, Emma Alberici. There are many very prominent left-of-centre voices, green-left voices and I’d include yourself among that. Where is anyone who’s right-of-centre – mainstream? Chris Kenny: That’s not a smear. Quentin Dempster: It is. You are saying that they’re behaving unprofessionally. The [ABC] board sets the editorial policy and people are held to account on those editorial policies. Chris Kenny: But this is the point – they are engaged in political commentary. Surely, they come from a perspective. You’re not pretending that they are political eunuchs are you? Quentin Dempster: They have to come to engagement with the audience and then they have to put their concluded views, hopefully, objectively – and acknowledge other sides of the argument. 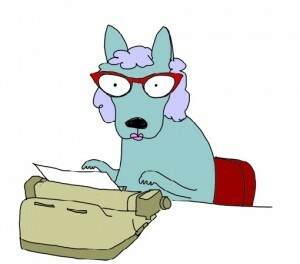 When you write a column, you say: “I have to come to a concluded view.” Otherwise, what’s the use of it? Quentin Dempster: Well you do, you say they always come from a left perspective. Chris Kenny: We have a political debate, we expect stuff from the left perspective and right perspective. The problem is at the ABC – you only get the left perspective and the pretence is that it’s objective. Quentin Dempster: I don’t accept that. Chris Kenny: But you’ve just said it’s subjective. Chris Kenny: Well I’m just asking you to name then someone – sorry to interrupt one more time – please just name for me a prominent host, producer, journalist who we could vaguely describe as right of centre. Quentin Dempster: I’m not going to fall into that. Chris Kenny: Or you can’t think of anyone? Quentin Dempster: No, I’m not going to fall into that…. So, there you have it. Like Leigh Sales, Julia Baird and Annabel Crabb – Quentin Dempster denies that the ABC is a Conservative Free Zone. But, like Ms Sales, Dr Baird (for a doctor she is) and Ms Crabb – he is not prepared to name one prominent ABC presenter, producer or reporter who can be described as conservative or right-of-centre. Could it be because no such individual exists? Journalists and commentators invariably present themselves as a cynical/sceptical lot. Except when it comes to their own profession. Which explains why every couple of months or so the leading media types in the land like to get dressed up in their finest and present each other with awards. You know, the Quill awards and the Walkleys and the Australian Media Hall of Fame and so on. Why, in 2016, even hard-nosed Laurie Oakes rocked up to receive his gong at the Media Hall of Fame. Inspired by this momentum, Jackie (Dip. Wellness, Gunnedah Institute), decided to initiate her very own awards last year – they continue this year. Join with MWD as we Look Back in Amusement at the Media Stars of 2018 over the next three months or so. One by one. Katrina Sedgwick is one of a number of luvvies who front up on the ABC TV News Breakfast program in Melbourne and do the “Newspapers” gig every now and then. Not all are luvvies – but quite a few are. Ms Sedgwick, for example, is wont to bag Donald J. Trump, Tony Abbott and so on. You get the picture. Formerly the head of TV Arts at the ABC, since 2017 Ms Sedgwick has held the position of director of the Australian Centre for the Moving Image in Melbourne. On Tuesday 28 August 2018, Katrina Sedgwick appeared in the “Newspapers” segment – still bemoaning the fact that Malcolm Turnbull had been replaced as prime minister the previous Friday, Ms Sedgwick praised Julie Bishop who had finished third in the Liberal Party leadership contest behind Scott Morrison and Peter Dutton. Let’s go to the transcript as discussion turns on Ms Bishop’s now famous red shoes which she wore to Parliament House on Monday 27 August 2018 when announcing that she was going to the backbench. Virginia Trioli: And fingernails. Made the point about you know, the red nails and the red feet. 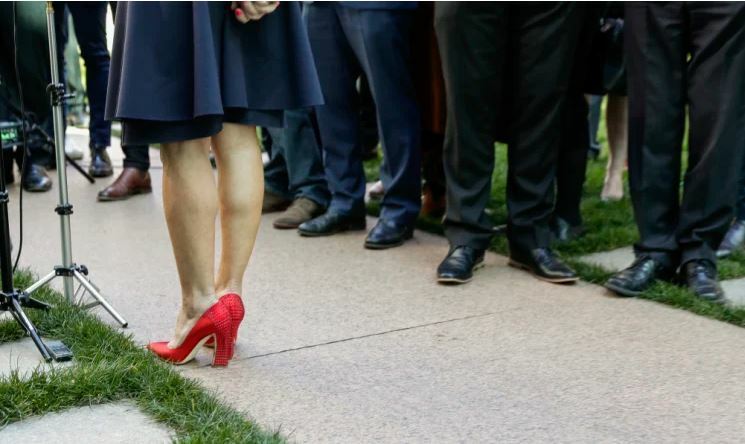 Michael Rowland: But wasn’t Alex Ellinghausen [the photographer] trying to get across the point that – taking outside the reference to shiny red shoes, which would have been inserted by a sub-editor – of Julie Bishop being a woman still in a world dominated by men. As a relatively sole, credible female voice. That was the message I got from looking at that image. Katrina Sedgwick: And indeed, I think that’s an important point to raise. And I’m simply suggesting that the photo of her shoes is a very kind of simplistic and silly way to do that. I’m sure we can be more sophisticated about these important issues. So there you have it. The director of the Australian Centre of the Moving Image was upset by the publication by The Age in Melbourne of a still photo by Alex Ellinghausen of Julie Bishop’s red shoes. According to Katrina Sedgwick the photo was – variously – “absolutely ridiculous”, “simplistic”, “silly” and lacking sophistication. Really. Co-presenter Michael Rowland did not concur – he saw Ms Bishop’s choice of red shoes as a form of statement which she wished to make. Needless to say, Mr Rowland was correct and Katrina Sedgwick was hopelessly wrong. Julie Bishop was making a statement with her red shoes and Alex Ellinghausen and The Age’s editor were correct to point this out. So proud was Julie Bishop with her statement that she subsequently donated her red Italian shoes to the Museum of Australian Democracy in Canberra where they reside in a display case. A forever still image of a gesture which was completely misunderstood by a Moving Image specialist. ABC TV’s Media Watch resumed on Monday after its somewhat long Well Earned Break. Alas, the format remains as it has been for three decades. A leftist or left-of-centre presenter gives a sermon of close to 15 minutes on this and that. Fox News (proprietor Rupert Murdoch), on the other hand, runs the Mediabuzz program hosted by Howard Kurtz which airs on Foxtel in Australia. Mr Kurtz expresses his opinions – but he also has panels where different points of view are heard. In other words, Mediabuzz is a discussion – not a sermon. Down Under’s Media Watch has lotsa taxpayer funded staff. Even so, the product is frequently dull. Here are the “highlights” of last Monday’s program. ▪ The Prime Minister was asked on FM radio about the toilets in the Prime Minister’s Office. Really. ▪ Paul Barry has “insight” into the possible new chair of the ABC. According to the ABC Media Watch host, it could be Greg Hywood or Danny Gilbert or Kim Williams or Ian Robertson or Michael Rose or Mario D’Orazio or Sam Mostyn. But maybe none of the above. And probably not Mr Williams or Mr Gilbert. Well, that’s pretty helpful, eh? By the way, most of these names have already been referred to in the media as possibilities to succeed Justin Milne as ABC chair. It’s a no-news news story. ▪ Mr Barry lectures the media about its reporting on drugs. Yawn. ▪ Media Watch presenter moralises about the media’s coverage of the Adani mine in Queensland. Groan. Er, that’s it. Not a story broken – apart from the PMO toilet matter. Not a fresh insight. Just another Paul Barry sermon from the taxpayer funded pulpit on nothing much at all. Due to enormous demand, Jackie’s Recycling Depot segment – which made its debut last week – returns today. Benjamin Disraeli (1804-1881) is said to have commented that everyone loves flattery – but when it comes to the Royal Family you need to lay it on with a trowel. MWD is on constant flattery watch – and is conscious of the saying that imitation is the highest form of flattery. Hence the introduction of this segment which monitors literary re-cycling in the media. It’s the annual speech day at St Brutes, the very private non-selective school and training ground for future Nasty Party boiler room operatives and their underlings in Cockies Corner at the other end of the dorm. The headmaster, Mr Morrison, was hoping for a speech day built around the theme of “fair dinkum” – to reflect the authenticity of Australia and its values. Get it? The Nasty Party is the Liberal Party. Equating political conservatives with a “Nasty Party” is a “joke” that is decades old. Cockies Corner covers the Nationals – another decades old saying. Groan. There were references to “locker room monitor Master Broad” (aka Andrew Broad), “school electrician” Mr Taylor (aka Angus Taylor), Little Kris Kenny (aka Chris Kenny who happens to be very tall), relief economics teacher Mr Frydenberg (aka Josh Frydenberg), school chaplain Fr Paul Kelly (aka Paul Kelly), Ms Alberici from the typing pool (aka Emma Alberici) along with – Quelle Surprise! – Rupert Murdoch, “St Brutus patrol Donald J. Trump” and “choir master Tony Abbott”. Yawn. Your man Ackland’s St Brutus yearbook bears a certain similarity to Private Eye’s on-going series set in an English secondary school. The current format is titled “St Theresa’s Independent State Grammar School for Girls (and Boys) incorporating The William III Orange Academy”. However, unlike Media Watch Dog which acknowledges where appropriate the influence of Private Eye – your man Ackland gave the impression that the school spoof is his original idea. 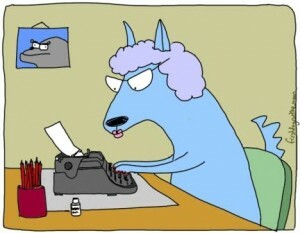 There are occasions, however, when Jackie’s (male) co-owner decides to write a polite note to someone or other – who, in turn, believes that a reply is in order. Publication in MWD invariably follows. There are, alas, some occasions where Hendo sends a polite missive but does not receive the courtesy of a reply. Nevertheless, publication of this one-sided correspondence still takes place. For the record – and in the public interest, of course. It’s fascinating that Gerard Henderson thinks ⁦‪@michellegrattan⁩ is left wing. The respected veteran is the most cautious and measured long time member of the Gallery. His slur despicable and a pity some are spooked by it. This is mere verballing, Bonge-style. Gerard Henderson (who regards Michelle Grattan as a cobber-mate and contributed a chapter to her important book Australian Prime Ministers has never said or written that Michelle Grattan is left-wing. Hendo took the matter up with Bonge by text (he does not have Mr Bongiorno’s email address and Bonge refuses to give it even when asked). Bonge could not come up with any evidence to support his assertion. But he did show lotsa denial. But first some background. Veteran political commentator Paul Bongiorno was initially confirmed by a producer as a regular Tuesday guest on RN Breakfast this year but a few days later was told by host Fran Kelly – who had recruited him four years earlier – that they were looking to “freshen up” the spot. A long-term friend, Kelly called him personally and said it was a hard conversation to have but she had to inform him he had been dropped in favour of the Sydney Morning Herald’s David Crowe. Canberra sources say the constant carping at the sidelines by right-wing commentators Gerard Henderson and Chris Kenny on top of jibes from the prime minister’s office about Bongiorno’s commentary have put pressure on RN Breakfast…. You tweeted last Friday evening that I think that Michelle Grattan is “left-wing”. I do not recall that I ever called Michelle (with whom I have always had a professional relationship and who has addressed The Sydney Institute) left-wing. What is your reference to support your assertion that I have directed what you call “a despicable slur” at Michelle Grattan? A prompt response is expected since others have taken up your claim. I suggest you read your own Media Watch Dog Reports from last year and your incessant attacks on me, RN Breakfast and its biased panel of commentators in the 7.45 am spot. Clearly you have no evidence that I ever called Michelle Grattan “left-wing”. Otherwise you would cite a source. You just made this up. If you make an allegation about me – it is up to you to provide the evidence. You failed to do so. All I wrote in Media Watch Dog last year about the five regular political commentators on RN National Breakfast was that not one is a conservative. This is an accurate comment. Neither Michelle Grattan (Monday), yourself (Tuesday), Peter van Onselen (Wednesday), Phil Coorey (Thursday) or Alice Workman (Friday) regard themselves as conservative. That’s all I ever wrote or said. To say that Michelle Grattan is not a conservative is not to say that she is left-wing. I have always regarded Michelle as an objective journalist who rarely, if ever, states her personal opinion. For the record, I would prefer it if you had remained a paid RN Breakfast contributor – since you provided great copy for Media Watch Dog, due to your evident inability to separate opinion from analysis and your capacity to deliver the occasional leftist rant. How about supporting your claim with evidence? It’s called professional journalism. How about facing up to the clear implications of your words in the context of your vendetta against RN and Fran Kelly for dropping you. There was no “clear implication” in anything I wrote or said about Michelle Grattan. To say that someone like Michelle or PVO is not a conservative is not to state, or even imply, that they are left-wing. This is merely Bonge-like verballing. As to Fran Kelly, who is a friend of yours, I had no idea that she had anything to do with the fact that I ceased being a weekly commentator on RN Breakfast – shortly after the 2007 election. Certainly Radio National Breakfast producer Tim Latham never told me this – his initial reason turned on what he said was my political position. Being a professional kind of guy, I did not criticise RN Breakfast or Fran Kelly when I had a paid gig on the program. Once I was not on the program, I was able to cover RNB and its presenter the way I deal with all other programs and presenters. When Media Watch Dog commenced in 2009, I covered RNB a lot since I listen to the program. Like you, Fran provided terrific copy – especially after she ‘fessed up to Fairfax Media that she was an “activist”. “Clear implication” is not my view alone. It is self-serving to be so categorical. At the very least it is contestable. Certainly this is the way others see it as put to me prompting my tweet. Also sources within the ABC put my dropping completely in a political interference context aided and abetted by fellow travellers of the government like you with your obsessive, narrow, pedantically and hypocritical rationalisations. As a paid commentator on Insiders your gall is gob smacking. There can be no “clear implication” concerning a statement/comment re Michelle Grattan which I have never made. I note that you are now relying on the alleged views of anonymous “others” to support your assertion. Turn it up. No doubt your sources within the ABC attribute the fact that you were dropped by RNB due to criticisms by myself and Chris Kenny of your comments on the program and the (alleged) intervention of the Prime Minister’s Office. That’s a convenient excuse, if ever I heard one. My criticism of RNB was that it did not have one conservative commentator in its 7.45 am slot. You have been replaced by David Crowe. – he is not a conservative. I suspect that you were dropped by RNB due to your evident leftist barracking and your occasional unprofessional comments on Twitter – such as calling Warren Mundine an “Uncle Tom”, for which the ABC had to apologise. In any event, I did not want you to be dropped by RNB – since you provided MWD with such great copy. You spend your life criticising others but get oh-so-upset when someone criticises you – and blame your critics for a decision made about you by the RNB producer. This is a form of denial. As to Insiders – I have appeared on the program about six or seven times a year since 2002. During this period, I have enjoyed a professional relationship with the PMO during both Coalition and Labor governments. BTW, the last time I saw Bill Shorten he thanked me for a comment I made about him on Insiders. As far as I am concerned, this series of messages is concluded. However, I am prepared to respond to any future comments by you if you provide me with your email address. Hello Gerard from Bruce L…. in Margate, Tasmania. I have to tell you that I’m getting heartily sick of your constant refrain in the Oz that the ABC is a “conservative-free zone”. I will name only Peter van Onselen, Amanda Vanstone and Tom Switzer, each of whom have their own programs. Then there are the many presenters such as Geraldine Doogue, Stan Grant and Chas Licciadello who are clearly not the rabid lefties that you suggest. The ABC in its charter and its practice is politically neutral, unlike the Oz and its News Corp stablemates, who have such difficulty in providing even news items, not just editorial comment, free from far-right bias. Please give it a rest! I don’t understand why you appear on “Insiders” so often if the ABC is so tainted with anti-conservative bias. The ABC is a conservative free zone without one conservative presenter, producer or editor for any of its prominent television, radio or online outlets. Leading ABC journalists like 7.30 presenter Leigh Sales maintain that this view is “nonsense”. But neither she nor any of her colleagues have been able to name one such conservative. ▪ Peter van Onselen does not host a program on the ABC. Moreover, he does not claim to be a conservative. ▪ Amanda Vanstone does not claim to be a conservative. Her program Counterpoint airs on ABC Radio National at 4 pm on Mondays. Counterpoint is not a prominent program. ▪ Tom Switzer does claim to be a conservative. However, his program Between the Lines airs on ABC Radio National at 1.30 pm on Thursdays. Between the Lines is not a prominent program. ▪ I have never suggested that Geraldine Doogue, Stan Grant and Chas Licciardello are “rabid lefties”. You just made this up. ▪ The ABC’s charter does not require that the public sector broadcaster reflect the political diversity of the Australian community. If the ABC was diverse, it would not be a Conservative Free Zone. ▪ I appear rarely on the ABC. In 2018, I made seven appearances across all platforms – six of which were on Insiders.. In other words, I am on Insiders about once every seven weeks. By the way, Insiders, as I understand it, is the only ABC TV news and current affairs program which out-rates all its rivals in its particular time slot.